Police said the car at the center of Wednesday’s drama at the Lafayette Community Park appeared to have been stolen and contained property believed to have been stolen from area homes. Investigators said the car’s ignition had been punched, it’s Vehicle Identification Numbers removed and its license plates switched. 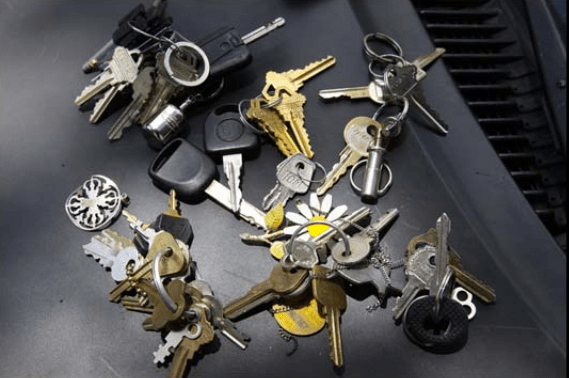 Sets of keys used to access everything from cars to postal boxes were also found inside. Investigators had previously linked two people found inside the car Wednesday to the theft of $50,000 in property from a vacant home in May. 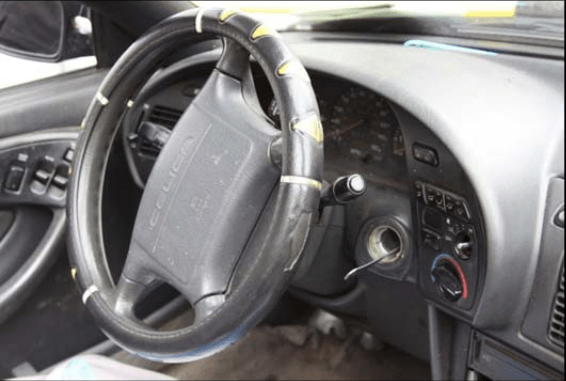 During a further search of the car, CSI personnel located property they believed was related to the theft and the owner of the property later identified it as having been taken from his home during the theft. Investigators are now working to verify if the vehicle is an unreported stolen vehicle and if the remaining property found in the suspect vehicle is from other area thefts. They are also working to obtain an arrest warrant for the male half of the couple in the car when police approached it Wednesday. That man fled into the surrounding neighborhoods and has not been found despite an exhaustive search. Residents who believe they have information regarding this vehicle or these suspects are asked to contact Lafayette police. Sad way to live. But my sympathy loses out to anger when you hear they are ripping so many people off.